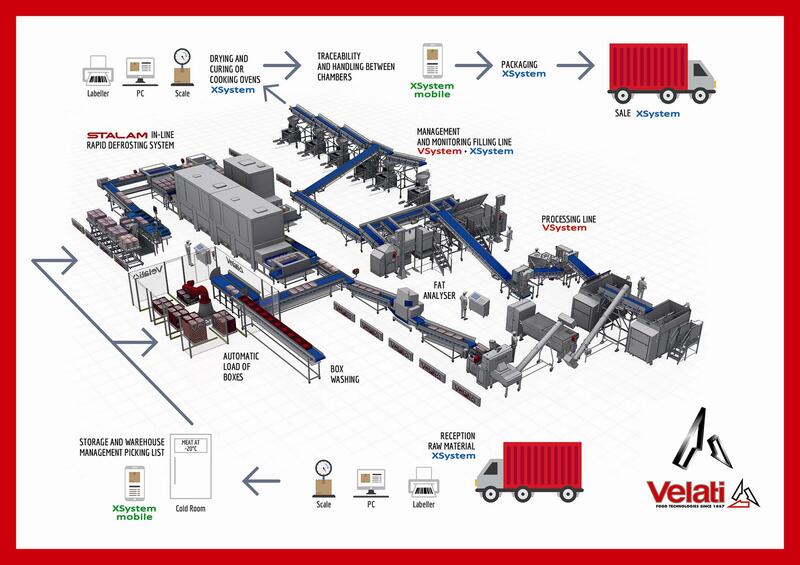 Velati is able to take care about your production from the warehouse to the shipment department. Complete traceability, automatic loading by robot or conveyor belts, weighing systems, 100% extraction process data, automatic defrosting of the raw materials, remote controls are just some of the big advanges of this idea. Every project is tailor made, every project is up to the customer needs. Velati means 100% attention to your product. Your success is our target.